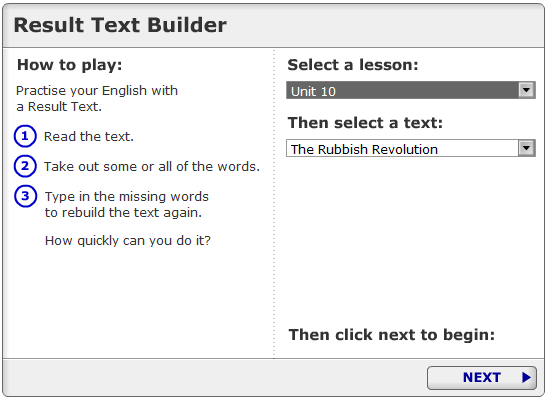 In this activity from the OUP site, you will read a text about unnecessary packaging, then make 25%, 50% or all the words disappear. You will then rebuild the text. Activity time: 10 to 30 minutes. Task: Go to the activity page, select the text for "Unit 10", and click "Next". 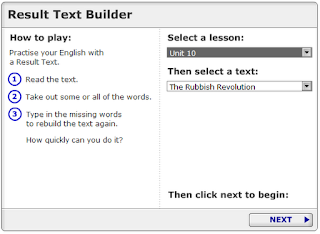 After reading the text, decide how many words you want to take out, then rebuild the text.